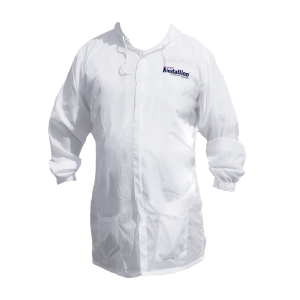 Premium hooded paint jacket made of breathable nylon that is 100 percent dust and lint free. Offers protection to all shop personnel. RS-313 has elastic cuffs and front pockets. Washable and anti-static material.